The md5sums have changed (strangely). I have now updated the PKGBUILD. Hello, I would like to report that the package fails to build with a checksum error. The latest version of Popcorn Time Community (0.4.1-5) is available only from source. and.. any series load the subtitle. anybody can view the "trailers" of the movies?? becouse i can't see any of them. What means "fake"? This is a normal fork, sponsored by YIFY, of the old Popcorn Time. it seems to me to be a good fork. 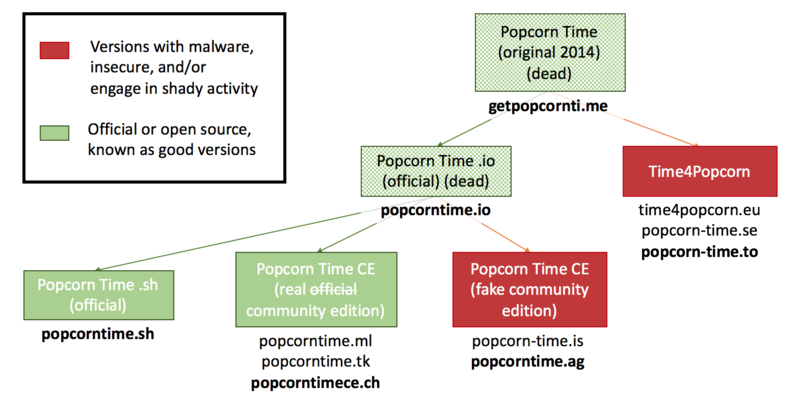 According to this image* https://blog.popcorntime.sh/content/images/2016/12/CiANgO8XEAETorA.jpg (from https://blog.popcorntime.sh/popcorn-time-safety-and-ransomware , the new official version according to https://www.reddit.com/r/PopCornTime/ ) the popcorntime .ag fork is a FAKE community edition and may contain malware.